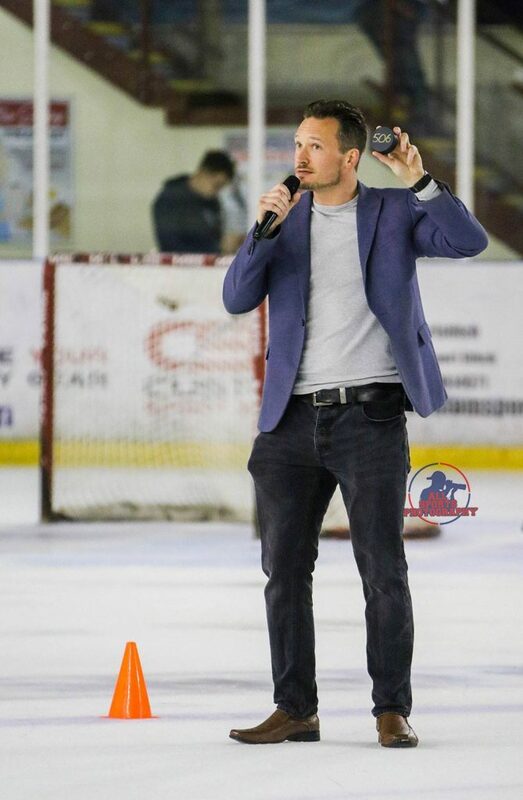 When Aden Millen was 12 years old, he spent his weekends at the Manchester Arena, falling in love with the sport of Ice Hockey and his favourite team, the Manchester Storm. He grew up idolising the players of that era; Hilton Ruggles, Brad Rubachuk, Stefan Ketola to name but a few. But he was also enamoured by the match night experience. The music, the videos, the craziness of the match night announcer Jon. He’d never have imagined one day, he’d be taking on that same job. But for the 2018/19 season that’s exactly what he’s doing. 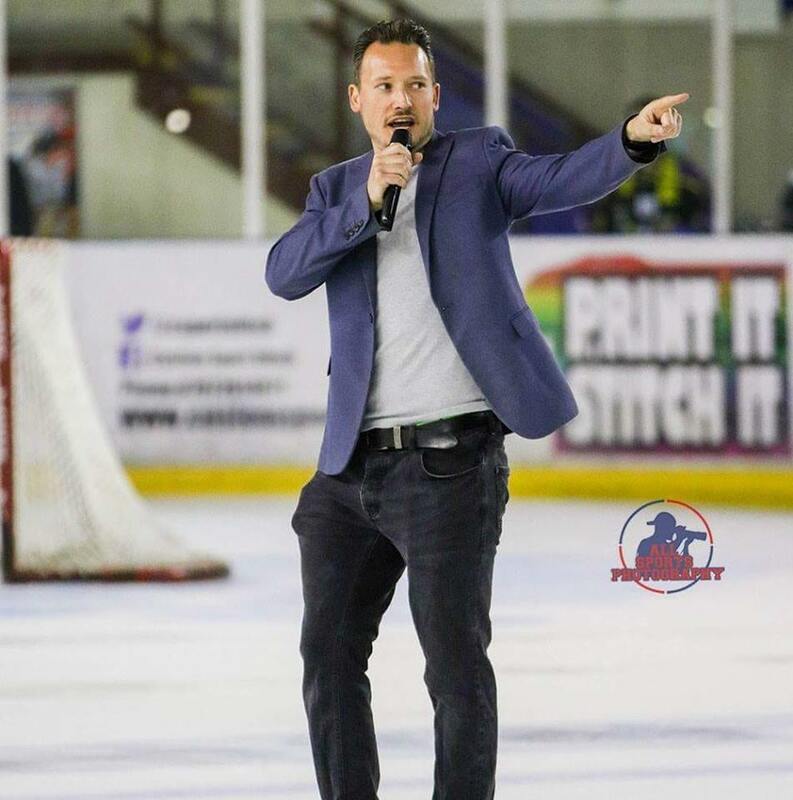 After following Elite hockey in Manchester for over 20 years and more recently working behind the scenes, Aden Millen is the new Match Night Announcer for the Go Goodwins Manchester Storm. 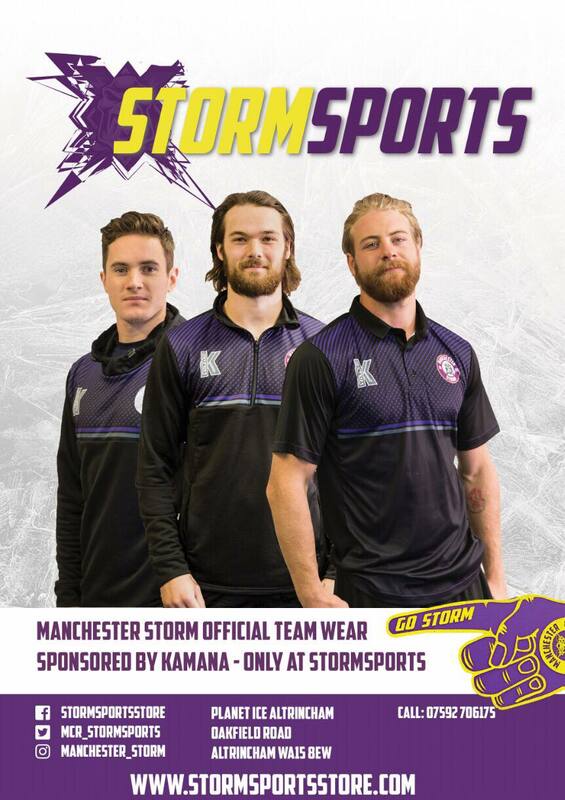 Determined to put on a great show for the fans in Altrincham, Aden will be introducing a few new features at the Storm Shelter this season. Including the already popular Period Break Quiz. He’s also not shy about speaking to the fans and encouraging them to get out of their seats for a bout of ‘Dance Cam’. Although happy to join in, he apologises in advance for his own questionable dance moves!